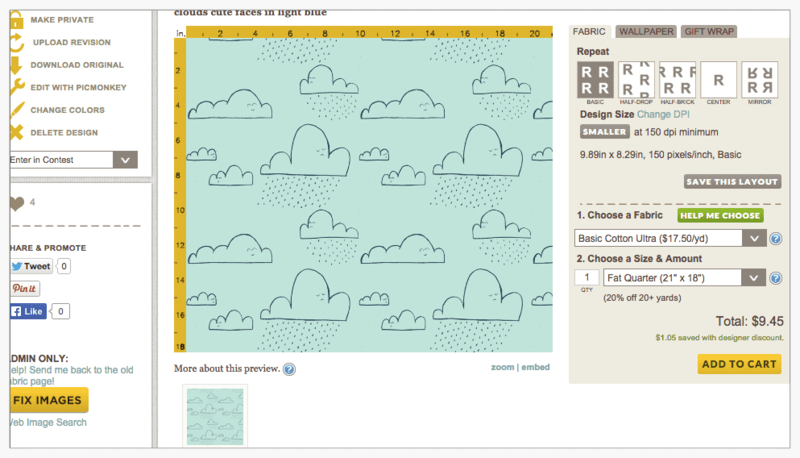 Spoonflower Bootcamp: Why does the thumbnail look different in my cart? 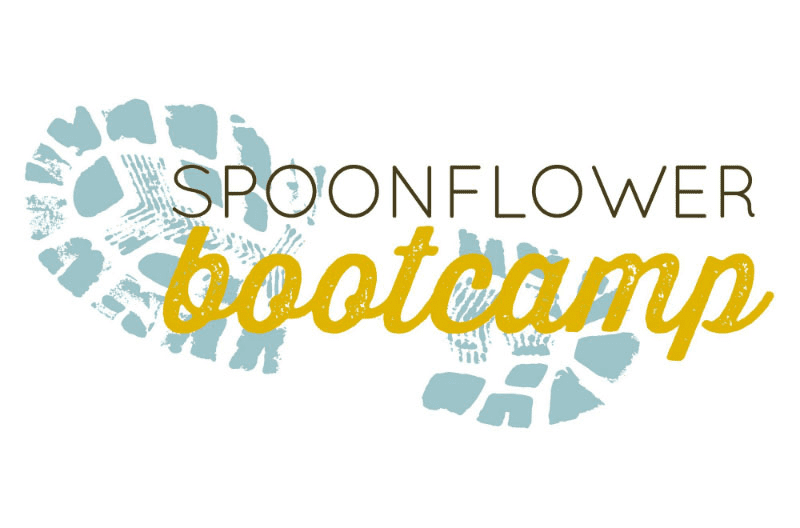 [Read more…] about Spoonflower Bootcamp: Why does the thumbnail look different in my cart? 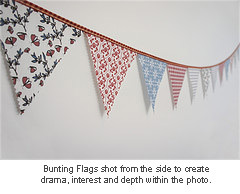 A couple of days ago, Spoonflower designer Berene Campbell shared with us some great tips on photographing your Spoonflower fabrics and finished projects. Today, it's talented Australian designer KristopherK's turn. Read on for some great advice plus another giveaway! 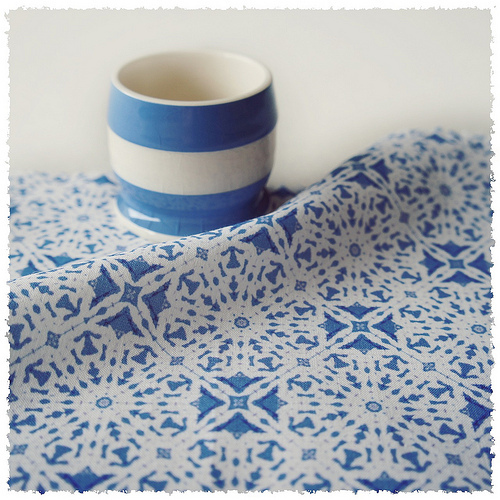 How important do you consider taking photos of your fabrics and your projects? 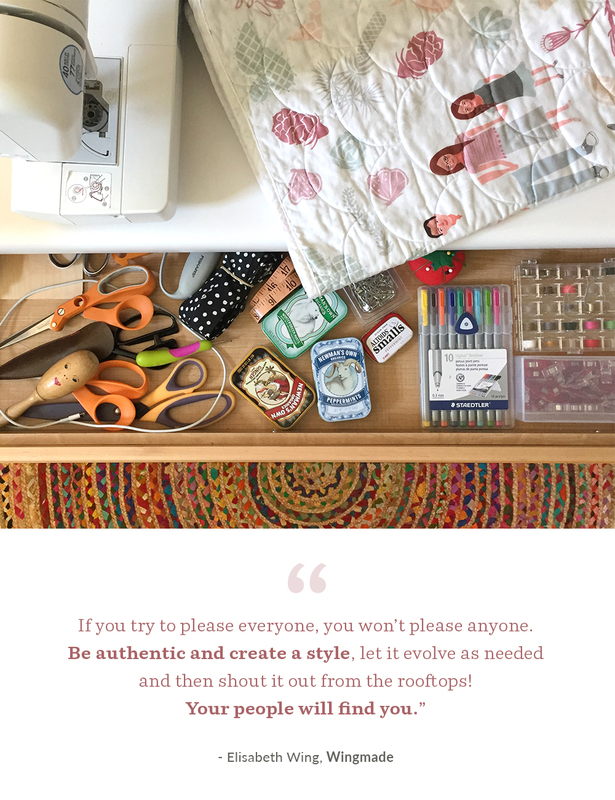 Do you do this for all your fabrics and projects or just some of them? When it comes to the importance of presenting fabrics and project images online, the phrase 'putting your best foot forward' comes instantly to mind. Remember, people online will rely on your photographs and descriptions as they can't pick up and view the item for themselves. Simply clicking a camera may be quickest, but if you consider the number of hours invested in each new design or project, the extra time needed to set up a photo can be comparatively small. I think it's safe to say I always try to find creative ways to display my fabrics and my projects online. Right now I'm using a digital Sony NEX-3. As someone without any formal photography training, I find this to be a great, intuitive camera that is relatively easy to understand and use. Do you take your photos at a particular time of day or in a particular spot? How do you deal with lighting? Yes, I find lighting to be paramount. When taking photos of fabric inside, midday is my preferred time of day. I find here in Australia that the strong midday sun enables me to capture true-to-life colours inside, usually without the need for any extra lighting. 1) Place your item near a large open window but out o f direct sunlight. 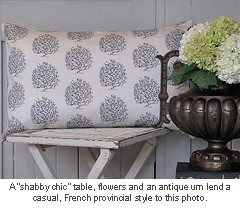 2) Ensure the colours around your item compliment the palette within your fabric or item. For example, a neutral painted wall, or a board covered in fabric, a light box, etc. 3) Try to keep the shot simple; busy backgrounds can make it harder to differentiate your item from your room's interior. 4) When displaying patterns think about scale and the use of props. The inclusion of a cotton spool, some cute ribbon, etc can help show scale as well as balance the colour and design elements within a photo. A good prop will also compliment the "story" being told within the photo. 5) Consider the height of the camera. When taking your photo , remember items will look different viewed from above, below, to the side etc, so experiment. Take several shots from different angles – this increases your ch ances of taking an exceptional photo and it's so easy to delete any unwanted photos later. 6) Set the focus (if this setting is available on your camera). Try for crisp images against a background blur. 7) Use a tripod to avoid undesired blur or place the camera on a solid surface prior to taking a photo. 8) I confess to wanting to avoid this tip – but before you take any photos, it's a good idea to iron your fabrics. Every little crease in a fabric has the ability to cause an unsightly line or shadow, ultimately distracting the viewer from the actual pattern in your design. 9) If you’re taking photos on a regular basis, consider rearranging a particular spot by a window that can be set up at a moments notice. 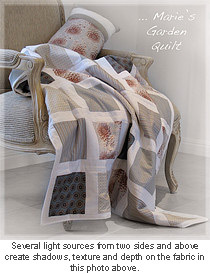 What style or mood are you going for when you photograph your fabrics and/or finished items? 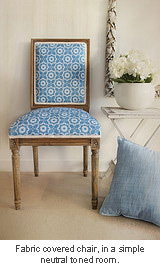 What do you think is the biggest mistake you see in poor photos of fabrics or finished fabric items? Did someone say they don't enjoy ironing? 🙂 Seriously though, it would be a lack of good lighting. Do you manipulate your photos in any way once you’ve taken them? Working with actions, textures, and layers in digital photo editing software is a fabulous way to enhance your photos but when it comes to editing photos for my Spoonflower portfolio, I prefer a "less is more" approach to ensure accurate colours and textures are maintained. I find some of the most useful techniques are also the most uncomplicated. Traditional effects like cropping, adding borders, or grouping photos together all play an important and relatively easy part in the enhancement, appearance, and presentation of design photos. What’s the single most important thing a novice photographer should try to improve their photos of fabrics or finished items? I think it's important to have fun and to experiment as much as possible. 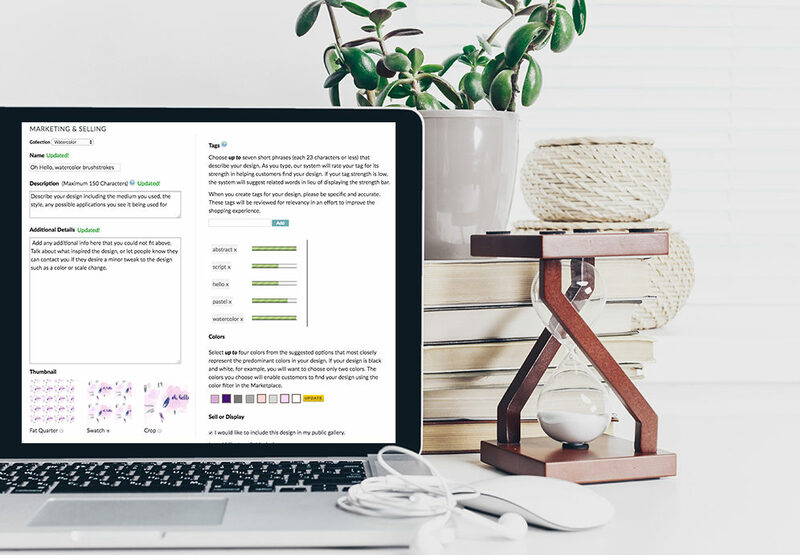 Search out good photography websites or magazines to learn new tips and techniques and read your camera’s manual – although since buying my new camera, this is still something on my seemingly endless "to do" list! Thanks for the pointers, Kris! 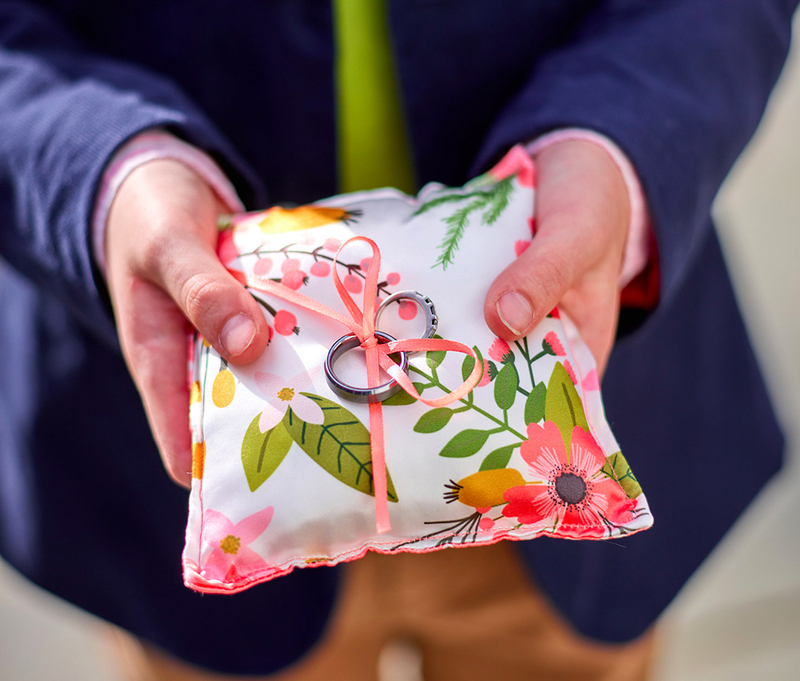 If you've read this far down and would like to be entered into a drawing to win a yard of fabric printed with your choice of one of KristopherK's designs, please just leave a comment below. We'll announce a winner for this prize, and for Berene Campbell's Retrotastic Camera Camera Bag pattern, on Monday, 10/17 at noon EST. Good luck!–GIVEAWAY IS NOW CLOSED FOR ENTRIES. STAY TUNED FOR THE WINNER TO BE ANNOUNCED SHORTLY! KristopherK feels incredibly lucky to have been surrounded and inspired by art and design as long as she can remember. Her life-long obsession for beautiful textiles and prints started at a very young age after a visit to Liberty, in London. She studied art, art history and textile design as electives in high school and during her final school year, was thrilled to be awarded the Inaugural Mosman Art Youth Award. Kristopherk attended the International School of Colour and Design in Sydney, Australia, where she graduated in 1999 with an Associate Diploma in Colour and Design. 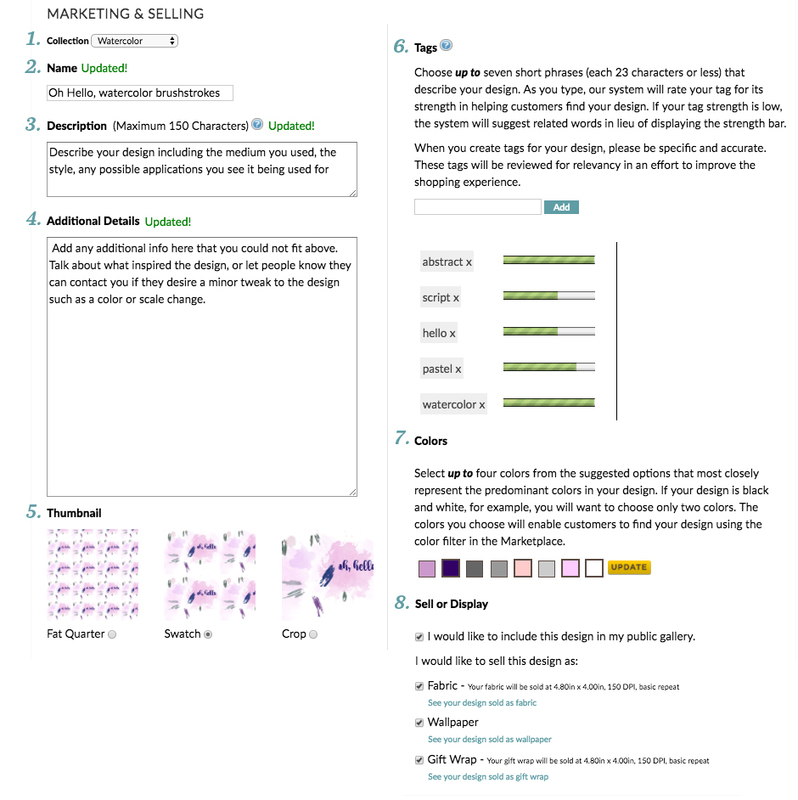 KristopherK sells her fabrics via her Spoonflower shop, KristopherK, and also keeps a lovely blog about her design process.